In association with the American Photographic Artists (APA), Jill was invited to speak at Canon Hollywood about how to transform your work into a book, sharing samples from her 13 books. Photo by Lexie Cole. Jill's Lawrence Halprin Exhibition Opens at the National Museum Building in Washington D.C. The exhibition will be on through April 2017, then moving to Los Angeles. Hermosa Design is now Jill's Meditations on Architecture and Surfer series both printed on large scale canvas. You can check out their beautiful design gallery at 618 Cypress Avenue, Hermosa Beach, CA or online at www.hermosa-design.com. Jill exhibited her fine art series, 'Meditations on Architecture' in the APA group show at Santa Monica Art Studios this December. To view more of Jill's fine art work, please visit www.jillpaiderart.com. Jill was invited back to guest lecture at the University of the Arts London, where she previously spent time as a Fulbright grant recipient and helped design curriculum for the new graduate diploma in photography course. She'll be consulting on the program as well as guest lecturing at the university for the month of October. 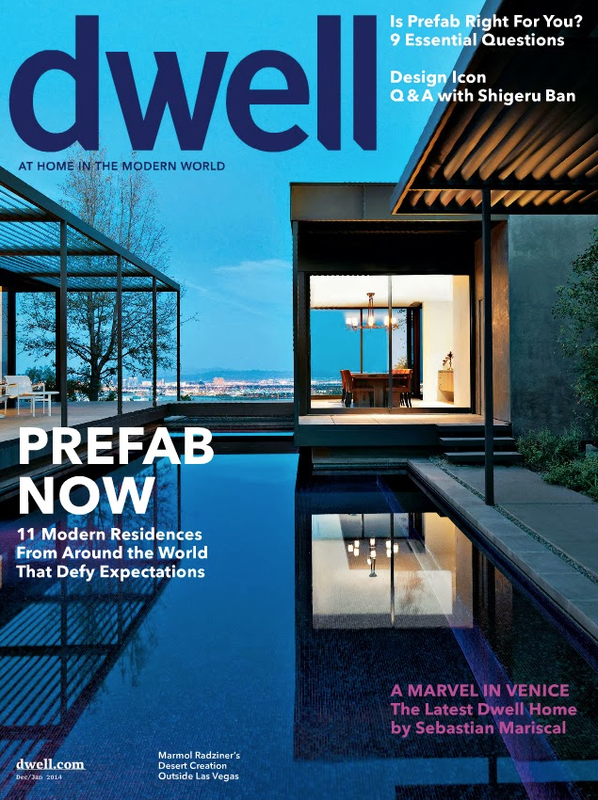 Jill's 8-page feature on mid-century modern design just came out in LA Magazine. On December 10th, the Architecture & Design (A+D) Museum in Los Angeles hosted Jill's 5-Series Book Launch. The exclusive limited edition series includes: The Great Modern Architects, Design + Destination, The Book of Modern Interiors, Prefab & Villa Savoye. You can view the book launch PREVIEW VIDEO here: http://bit.ly/1zh8nY5. Jill had the pleasure of being on the Frank Fontana show this week. You can click here to view the segment on 'Globetrotting Design'. A very special thanks to the show's award-winning producer, Cherie Jones. Jill was invited to speak at Parliament today on the arts as a part of the US/UK Fulbright Program. She's pictured above with Labour MP, Austin Mitchell. Jill was featured on this month's cover of FORM magazine. The issue includes a 5-page photo essay by Paider on urban design and with architectural shots from Tokyo, Singapore, Beijing and Tel Aviv. You can click here to read a behind the scenes interview with Jill. Jill is featured on the front page of this week's Crains lifestyle section. The picture above is a self portrait taken at Kulala Wilderness Camp in Namibia where Paider was working on a travel feature focusing on desert interiors and landscapes. Jill was interviewed by Peter Kolonia, editor of Popluar Photography magazine, for a review on lighting equipment... above is the tear sheet from May's issue. Jill's Photo Installation At The Top of the Burj Khalifa is Now Open! Jill's MODERN + FEMININE series is now live on Artnet.com. She's partnered with KB Contemporary for the sales of the composite photographic prints that combine architectural landmarks and feminine silhouettes. Based in New York City, KB Contemporary also represents the works of Joan Miro, Barron Rachman and Renee Radell. For more information or to purchase work, please visit the site at: www.artnet.com.